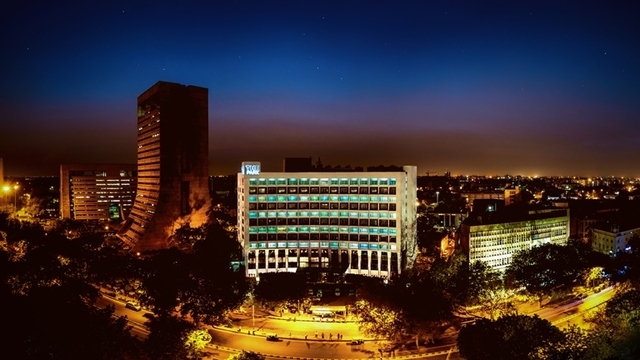 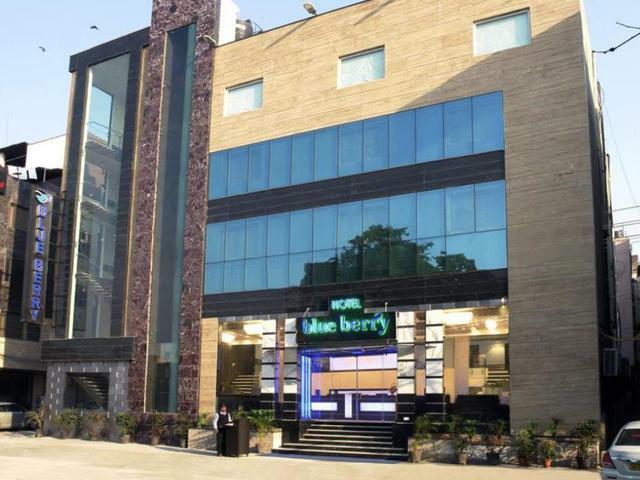 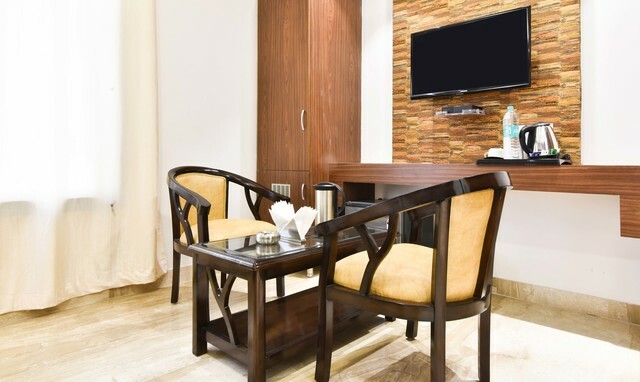 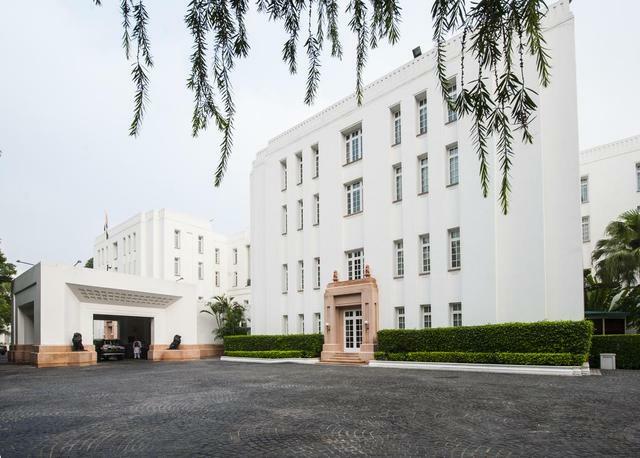 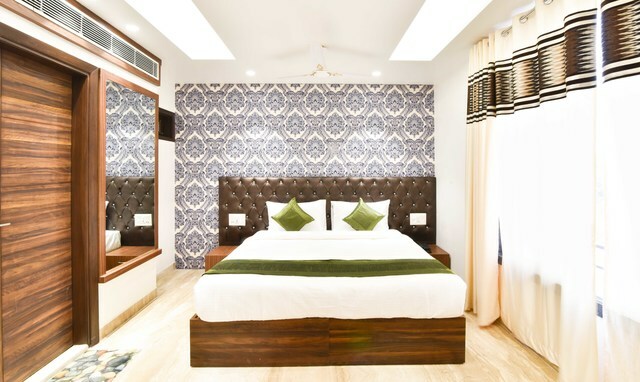 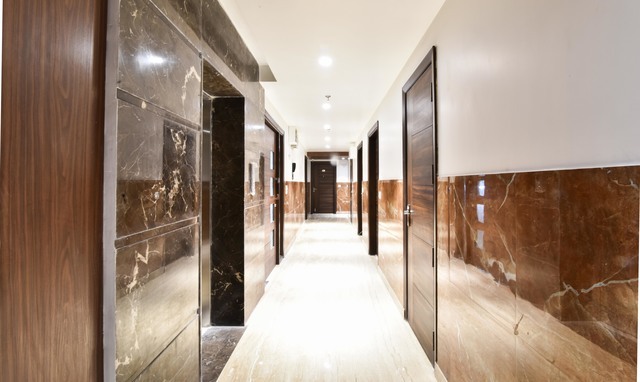 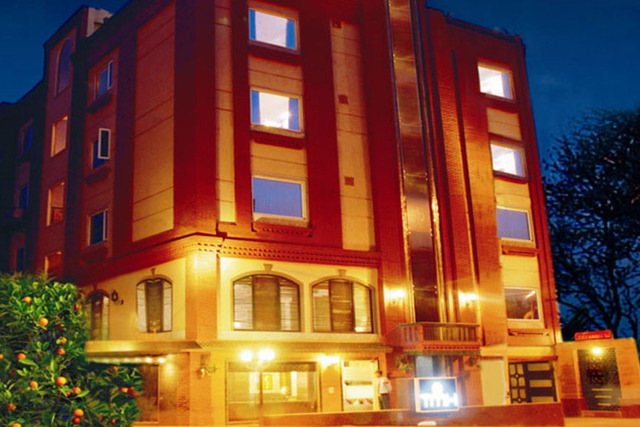 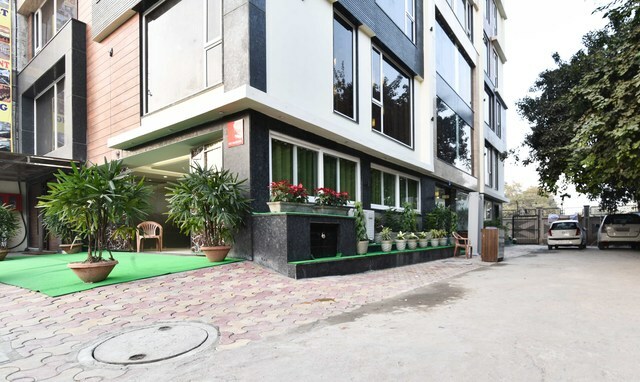 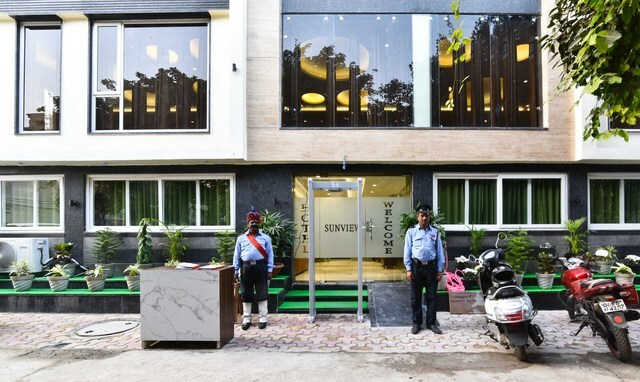 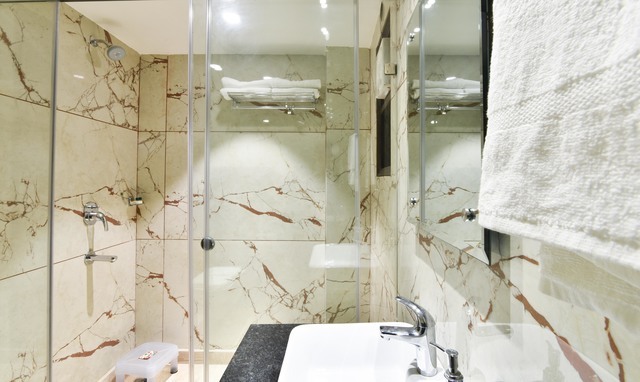 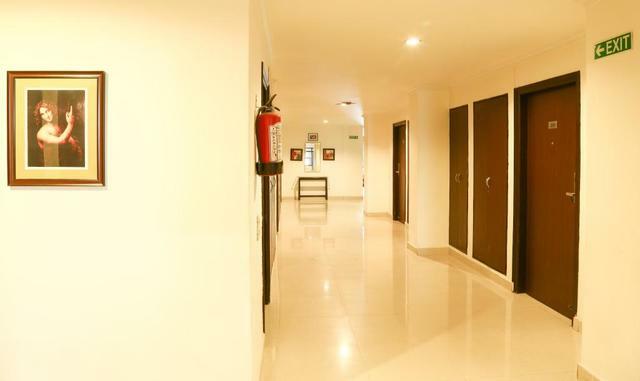 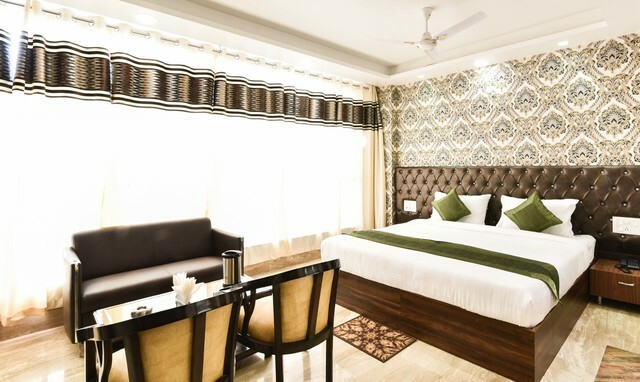 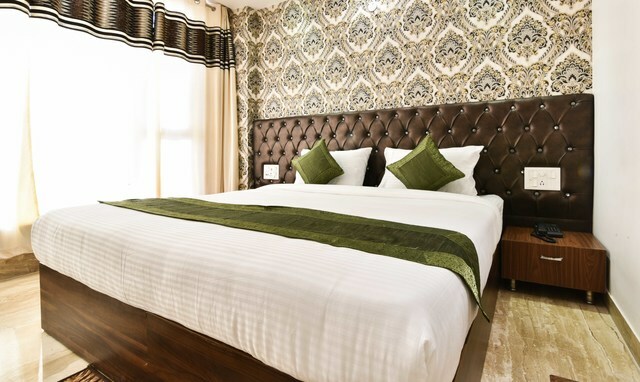 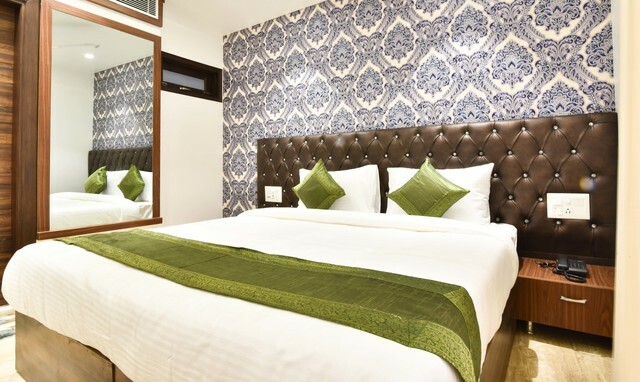 "Close to Karol Bagh and the MCD Office, Treebo Sun View International on DB Gupta Road is a beautiful 4-star rated property that provides complimentary breakfast (fixed North Indian, South Indian and Continental menu catering to both vegetarians and non-vegetarians), free WiFi and branded toiletries. 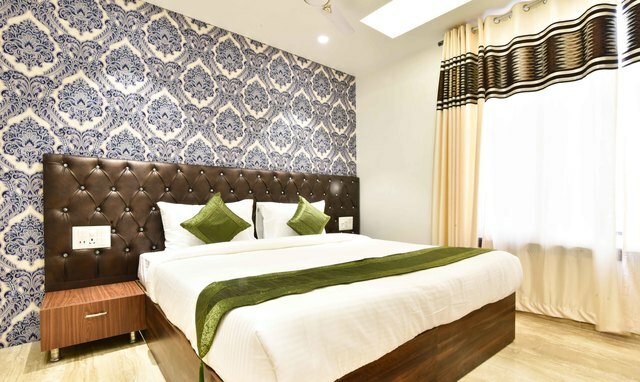 With the Karol Bagh Metro Station just under 3 km away from Treebo Sun View. 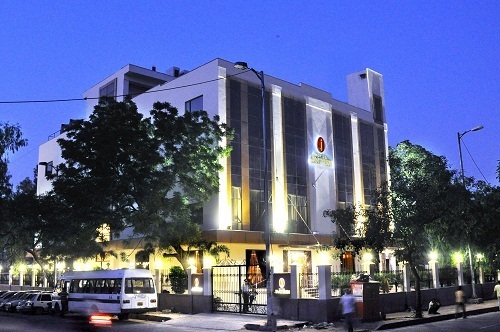 If you are travelling to the city by air, the Indira Gandhi International Airport is around 20 km away. 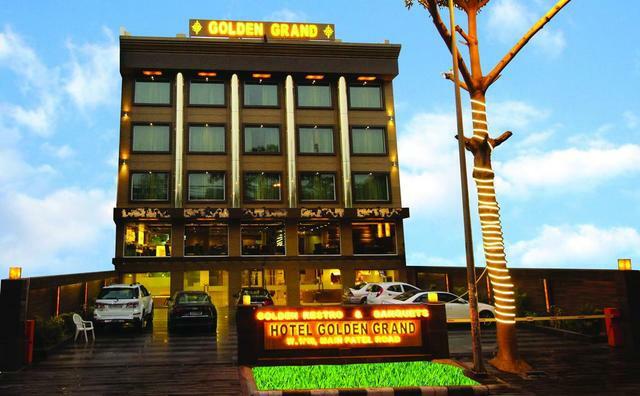 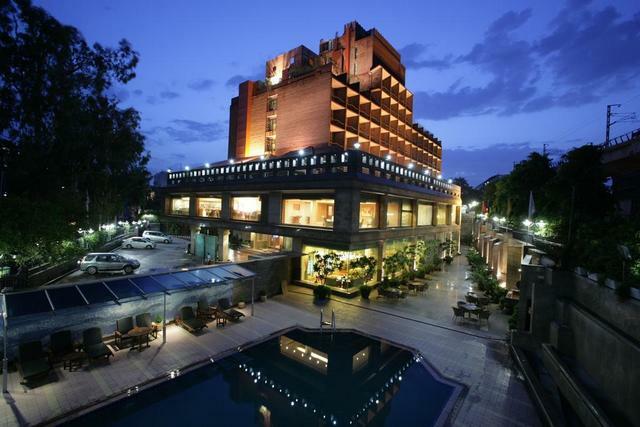 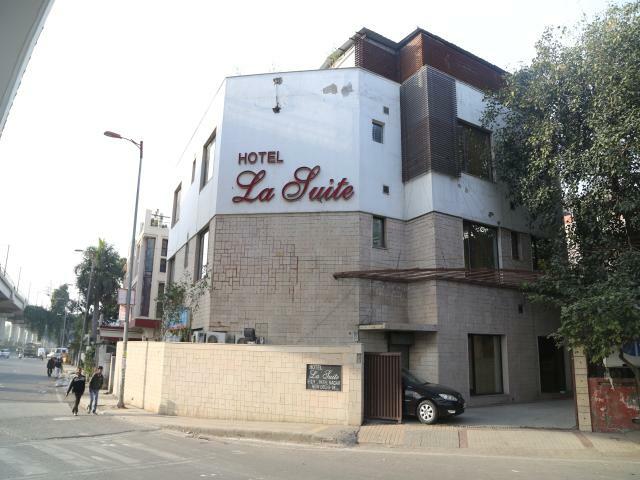 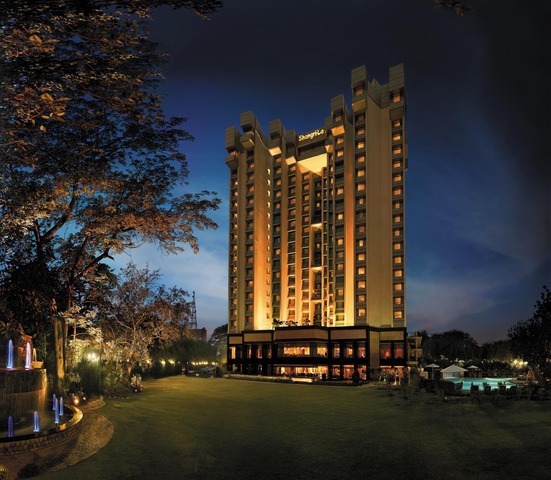 If you preferred mode of transport is train or bus, the New Delhi Railway Station is approximately 5 km away while the Kashmiri Gate ISBT is around 8 km away from this hotel. 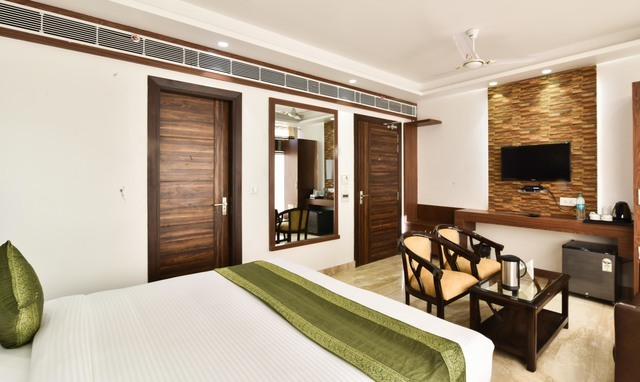 Promising unrivalled quality, affordability and comfort, Treebo Sun View International offers 24 rooms categorised as Oak (Standard) and Maple (Deluxe). 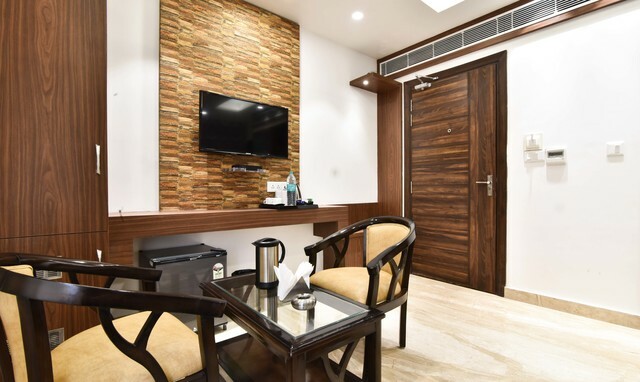 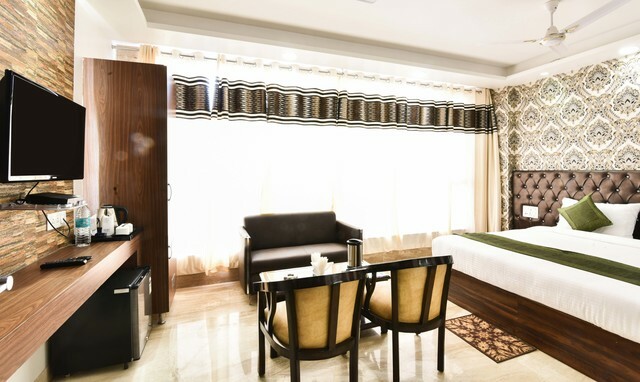 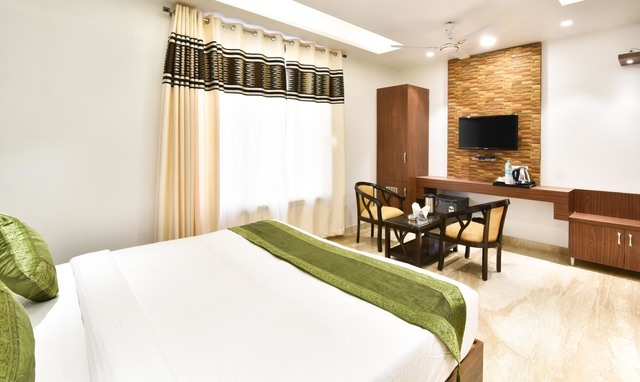 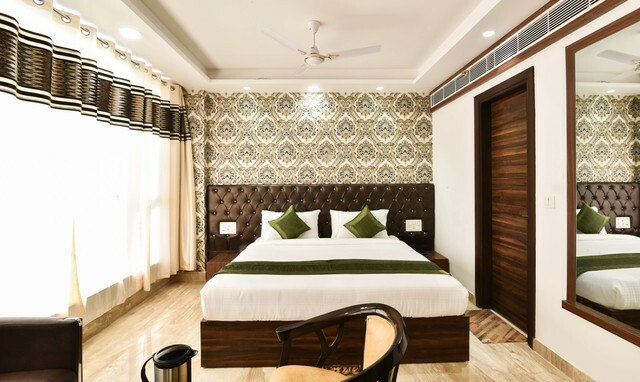 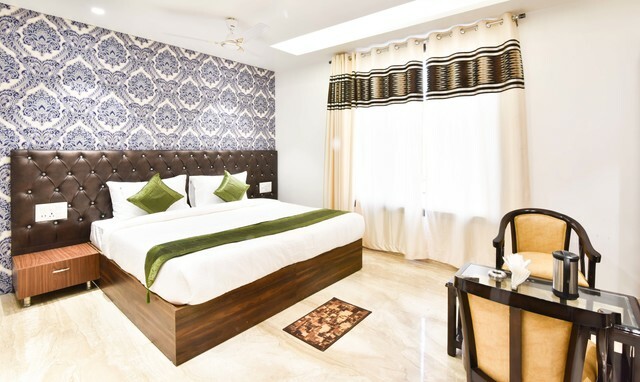 These rooms are spacious, well-decorated and come with a host of amenities that include air-conditioning, intercom, a TV with DTH connection, comfy beds, clean and fresh linen, elegant furniture and an attached bathroom equipped with a shower cabinet. 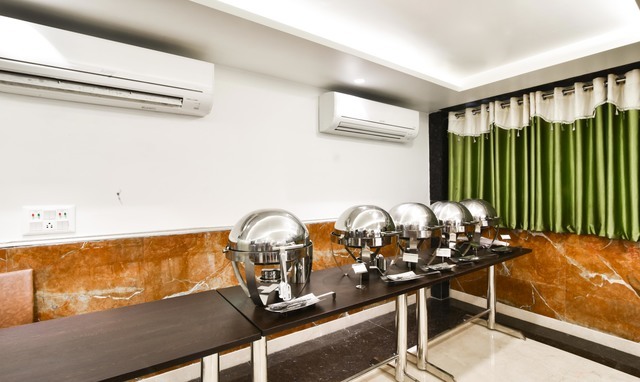 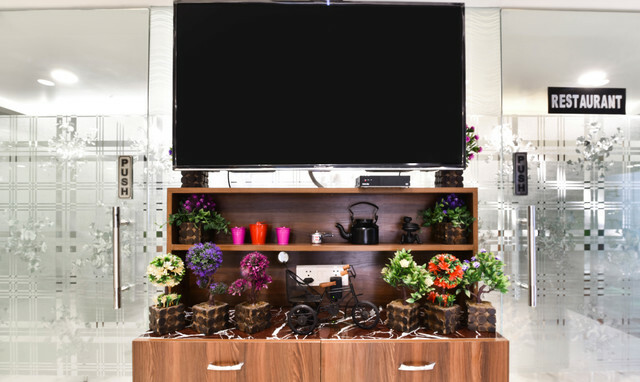 In addition to these amenities such as a mini-fridge and a hot water kettle with a tea/coffee kit are also provided. 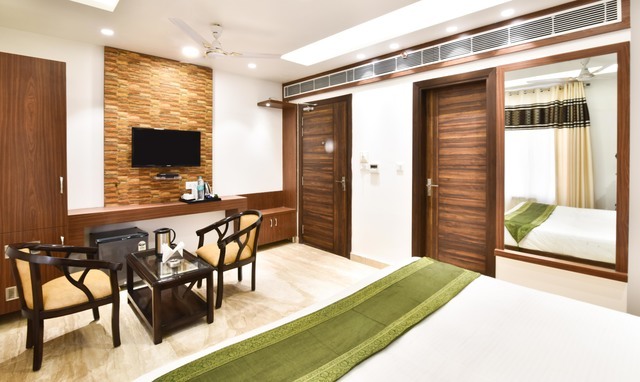 Irrespective of your purpose of visit to New Delhi, Treebo Sun View International is an ideal choice for tourists, foreigners, solo travellers, corporates and as well as families. 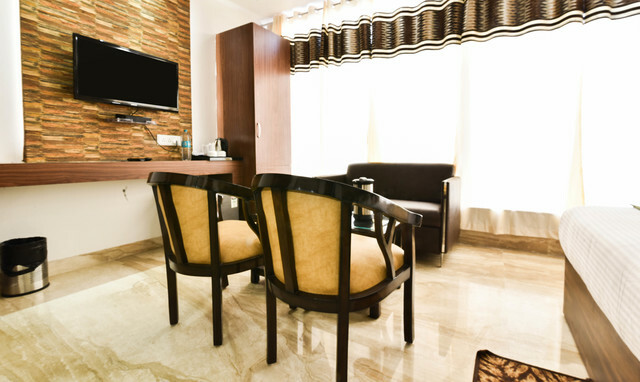 Hotel amenities provided here include outsourced laundry, room service, an elevator, power backup, on-site parking and hotel security. 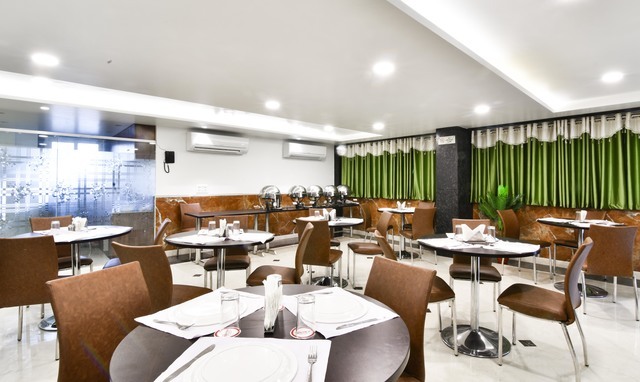 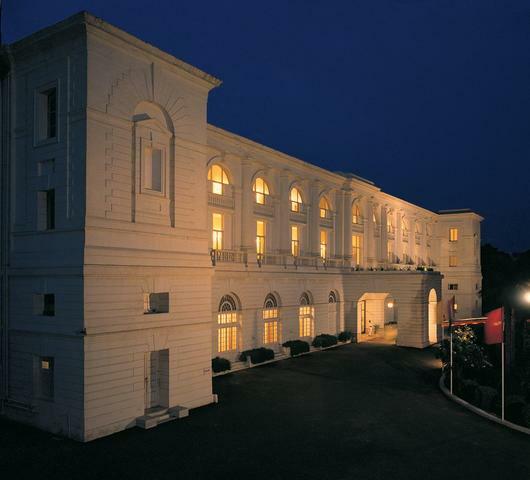 This hotel also has an in-house restaurant and a banquet hall that can seat 140 people. 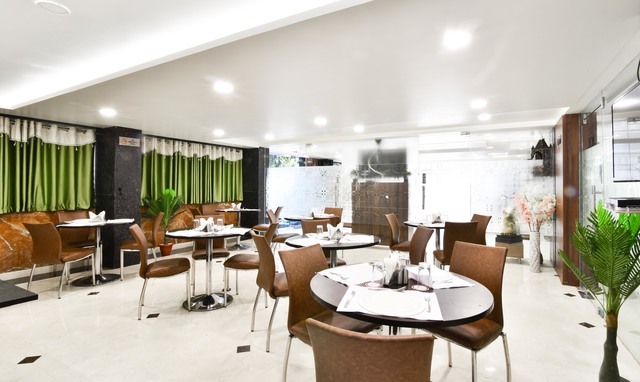 The restaurant serves North Indian, Continental and Chinese food.